The Dura-Seal protection system can be applied by professional applicators to your new or used vehicle purchase to help protect it for a lifetime and increase the value of your vehicle. Dura-Seal has been offering protection products to the New Zealand automotive industry since 1987 and remains the premium supplier of protection systems to date. This, along with their high quality product and excellent results, is the reason that Miles Continental is happy to provide their system as an added option for those purchasing our quality vehicles. Protects your paintwork from the elements. Saves you time by making your vehicle easy to wash.
Never wax or polish your car again. Environmentally friendly, no harsh washing products required. Provides an invisible & durable high gloss finish that will remain wash after wash.
Preserves appearance and increases resale value. Guaranteed for a lifetime of ownership. Resists everyday soiling and prevents spills from permanently staining your fabric or carpets. 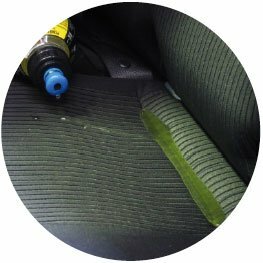 Helps your upholstery to retain its new look for longer. Saves you time by making your interior fabrics easy to clean. Odour free, non allergenic and child safe. Prevents your leather from ageing prematurely, stops cracking and helps retain suppleness. Removes and protects against everyday soiling and spills. Saves you time cleaning your leather upholstery. To find out more about this system, ask one of our sales team in our showroom or speak to our Business Manager, Jared Syme, on 03 377 7144.